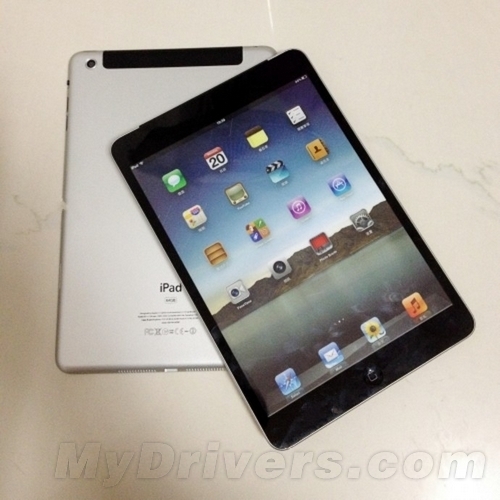 (GSM Insider) - You Can Get Two Units Of iPad Mini For Free When You Purchase...... A New Ferrari FF Coupe. Ferrari and Apple announced the partnership as the Italian supercar maker set to integrate Siri voice assistant and iPad Mini into its new Ferrari supercar. At Geneva, Ferrari President Luca Di Montezemolo announces that Ferrari and Apple will work closely in the coming future. This partnership started when a high level executive of Apple, Eddy Cue was invited to join the board of Ferrari. Eddy Cue is a sports car collector. 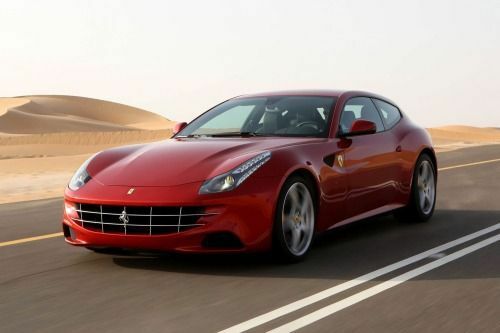 The Ferrari FF coupe is the first four wheels drive four seat coupe from the Italian carmaker. The Ferrari FF coupe has integrated with the Siri voice assistant that works well with Apple software to ensure the car drivers and passengers has maximized entertainment experience. There will be two units of iPad Mini provided for the back passengers. When there are rumours stated that the next-gen iPhone set to feature the IGZO display, another explosive rumour came from Japan. According to source from Japan, Sharp terminates the agreement with Apple in supplying IGZO display. According to Japanese source, Sharp decided not to supply Apple with medium and small IGZO displays to Apple because the profits are too low for Sharp. Recently, Sharp was involved in financial crisis so it needs much cash to turn the company around. However, the IGZO display might still available on normal size iPad in the future. In other words, the upcoming iPhone, iPad Mini and iPod Touch might not feature the IGZO display. The main problem is Apple already invested a lot on the technology that related to IGZO display. It is going to reveal soon on whether we will see iPhone 5S and iPad Mini 2 come with IGZO display. 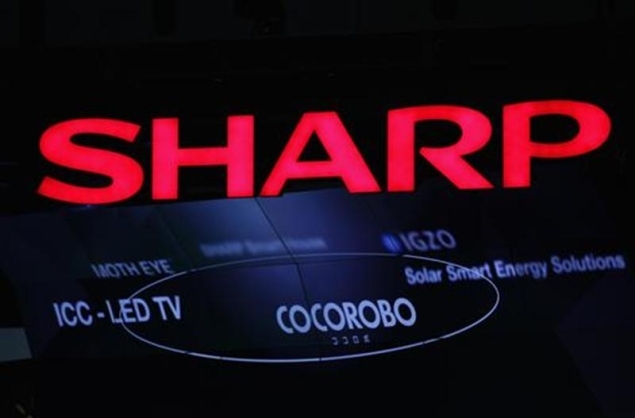 Japanese source added that Sharp continues supplying the IGZO display to Sony, Fujitsu, Asus and other OEMs in the market. 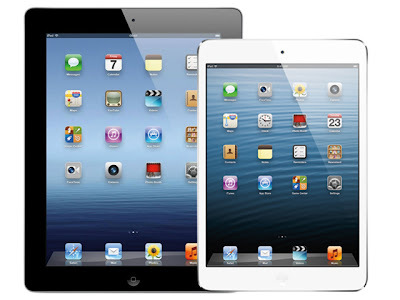 The two latest tablets from Apple are now available to purchase at the Apple Online Store in China and Malaysia. We just visited the Apple website to confirm this. China is the world's largest mobile device market while Malaysia is one of the main market for South East Asia. So it is important for Apple to release its new tablets to the market. It is weird that Apple does not label its fourth generation iPad as the iPad 4. It is known as the iPad with Retina Display. So make sure that you select the correct iPad and not selected the iPad 3. Both iPad Mini and iPad 4 available in black and white. Check out Apple.com now! (GSM Insider) - The battle of Samsung and Apple up to new level as latest reports suggested that the battery inside the iPad Mini no longer from Samsung. Report from China stated that Samsung is the one who decided to stop supplying the battery of iPad Mini to its rival. But there are so many companies that interested to get the orders from Apple. In such situation, Apple does not have other choice but to replace Samsung with new battery suppliers. 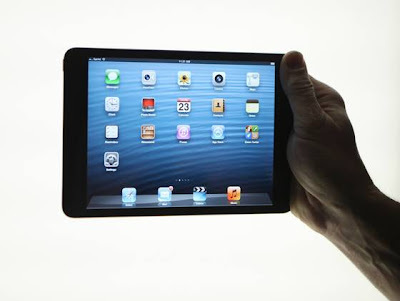 Amperex Technology Limited and Tianjin Lishen Battery are two of the new battery suppliers for the iPad Mini. After this decision, the relationship between both companies went to another new level. This is not going to solve any of the crisis between both but just caused the matter worst. (GSM Insider) - Its real. Its the latest smaller iPad from Apple. We are giving one unit away. Its time for us to give something for our loyal readers. Without you all, we wont standing tall. Your support are the motivation from us to continue provide latest news, rumours and updates to you. It has been a long journey from us since we established just a few months ago. We covered almost all major smartphones and tablets across the world. It has been a hard work from all of us. Mark always emphasized that working hard to provide latest news is the main objective. Well, its time to present something to our loyal reader. In order to win it, you must completed and sent the entries as much as possible at below. Important: Make sure that you like our facebook, follow our twitter or added us in or Google+ circle before sending the entries. Try to complete all entries and you can do as many times as possible to increase the chances of winning. 3. Go back to"Win iPad Mini" photo in Facebook by clicking here and click on "Share"
4. Tag 5 Friends before share. 5 . Now you stand a chance to win it. 1. Only 1 unit of iPad Mini. 2. The winner will announce through Facebook page. 3. 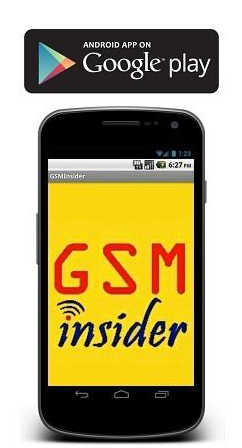 GSM Insider / GSMinsider.com has the right to rectify or change the terms & conditions anytime, anywhere without any notice. 4. GSM Insider / GSMinsider.com has the right to cancel the competition anytime, anywhere without any notice. 5. GSM Insider / GSMinsider.com has the right to change the prize anytime, anywhere without any notice. (GSM Insider) - For those who are living in the United States, there is another channel for you to purchase iPad Mini LTE - retail stores. Starting from today, iPad Mini LTE will available at the retail stores across the United States. Earlier today, Sprint made announcement that the Apple iPad Mini LTE will available at its physical store starts from today. So those who are interested in this iPad Mini LTE, can head to Sprint retail stores later of the day. With Spring starting the sales of iPad Mini LTE at its physical, it is likely that Apple stores, retailers and mobile carriers will follow this. Some of the iPad Mini buyers already received the device starting from yesterday. If you havent purchase yet, you can walk in to retail stores to purchase. (GSM Insider) - Gold always represents the luxury status and expensive in price. 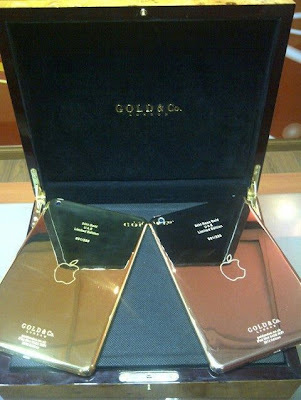 Gold & Co. successfully introduced the 24kt gold plated iPad Mini to the market. You can see bling bling of the Gold iPad Mini. One is 24kt gold plated and another is the rose gold plated. The rose gold plated will definitely cheaper then the 24kt gold version. In the past, Gold iPhone 5 sold for $5000. So you can imagine the price of Gold iPad Mini as the gold content is much more than the iPhone as the gold plated surface is definitely larger. The price of Gold iPad Mini is yet to available. But it definitely will frighten off many Apple fans. 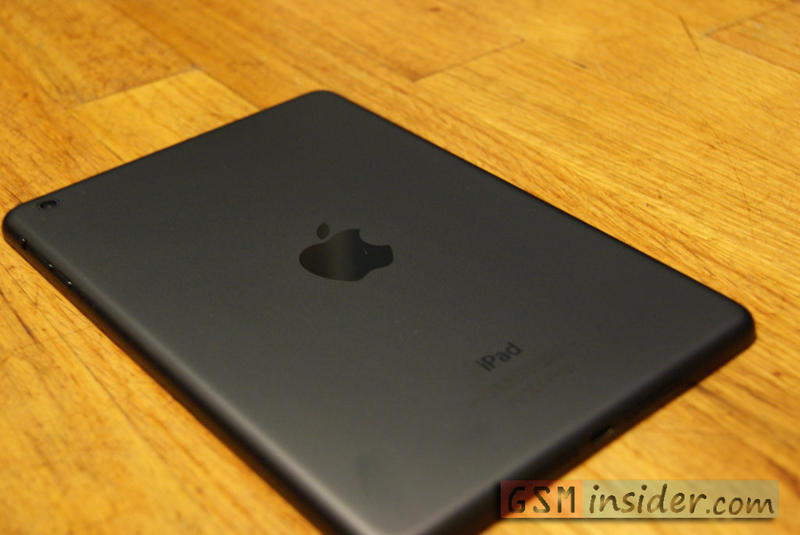 (GSM Insider) - After the launched of iPad Mini, it certainly caused positive and negative comments on it. It brings smaller sized iPad to your life that fit nicely into your bags. But the low resolution and overpriced are two of the main weakness in it. 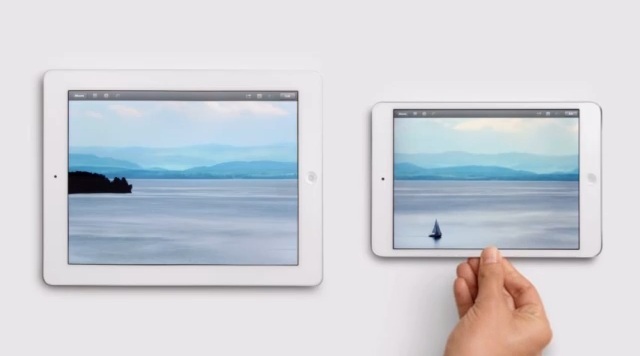 Earlier today, Apple releases two new TV ads of the iPad Mini. In first video, Apple refers the iPad Mini as the "Books" while refers to "Photos" in second video. This means that iPad Mini is perfect for viewing the photos and off course it can works as the e-Reader as well. We might think the iPad Mini is overpriced but you might dont think so. iPad Mini 2 To Feature IGZO Display with Retina Display Standard? 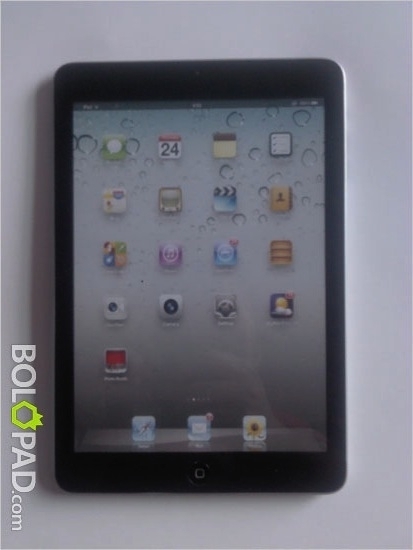 (GSM Insider) - After the launched of iPad Mini, there criticisms on the low resolution that the iPad Mini. The resolution which is only 164ppi and the price is high. So how Apple to make changes soon? 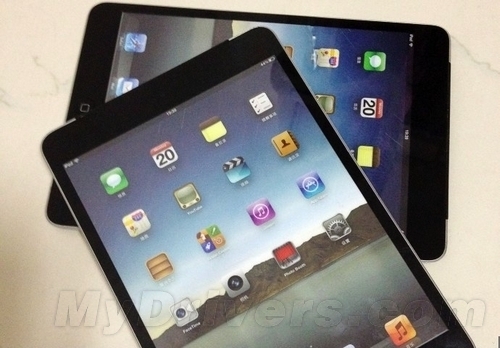 According to source, Apple and AUO collaborate to develop the display of second generation iPad Mini. The display resolution will be as high as the 2048 x 1536, which has 324ppi on a 7.9inches of display. This is on par with the Retina Display standard. Furthermore, the display will be based on IGZO technology that developed by AUO. This type of display will ship only at mid of 2013. We shall see iPad Mini 2 in less than one year from now? (GSM Insider) - In case you are busy and forgot the date when iPad Mini on sales, we are here to remind you that iPad Mini on sales today, November 2.
iPad Mini is available throughout dozens of countries across continents as these countries are including United States, Australia, Austria, Belgium, Bulgaria, Canada, Czech Republic, Denmark, Finland, France, Germany, Hong Kong, Hungary, Iceland, Ireland, Italy, Japan, Korea, Liechtenstein, Luxembourg, Netherlands, New Zealand, Norway, Poland, Portugal, Puerto Rico, Romania, Slovakia, Slovenia, Singapore, Spain, Sweden, Switzerland, and the U.K. The price for iPad Mini in the United States is $329. It is definitely not a good date for iPad Mini on sales as the country currently suffering from the Hurricane Sandy. In case you are in the United States, we hope that you take care of you own safety ahead of the intention to purchase iPad Mini. (GSM Insider) - There are much rumours stated that Apple set to abandon Samsung after recent involvement in the lawsuit between both companies. However, this seems like not the case at the moment as Apple still rely on Samsung on the hardware of its smaller iPad. From the latest disassembled of iPad Mini, the display and the A5 processor were manufactured by Samsung. Seems like Apple still relying heavily on Samsung for the display and processor production. Whether Apple set to abandon Samsung completely and swift to LG display or Sharp for the display, it remains unknown. According to many analysts, Apple trying to cut down the tie with Samsung to show that they can survive without Samsung. Recently, Apple decided to search for multiple manufacturers to produce the chips and components for its devices. For example, the NAND memory chip in iPhone 5 currently manufactured by SK Hynix and ELPIDA instead of Samsung. Apple also set to abandon Samsung in the production of Apple processor and opted for Taiwan Semiconductor Manufacturing Company. 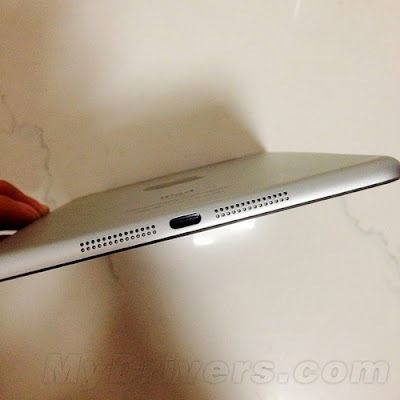 (GSM Insider) - When iPad Mini releases, there are many doubts on whether it has stereo speaker or just a mono speaker. The answer is clears now as the smaller size iPad comes with stereo speaker. According to Josh Topolsky, he found out that there are two small speakers at the bottom of iPad Mini instead of just one. The small speakers are two close together so it is very difficult to listen out the stereo sound. If you try out to compare the mono and stereo mode of the speakers, the different still noticeable. Apple iPad Mini is the first iDevice to have stereo speakers. Perhaps Apple will start to put stereo speakers inside iPhone and normal iPad very soon. You can try out yourself once you get the iPad Mini. Two are always better then one. right? (GSM Insider) - iPad Mini is the new smaller size iPad from Apple that announced last week along with the iPad 4. 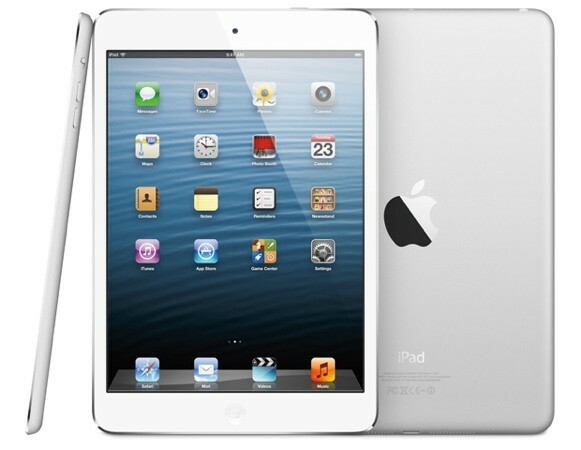 The iPad Mini officially sold out at the moment as the shipping date delayed to after two weeks. From the latest information of Apple Store, the iPad Mini WiFi only version sold out as the shipping date delayed to after 2 weeks. At this moment, all different versions and colours are sold out. However, it seems like iPad Mini uses longer time to sell out than iPhone and iPad. 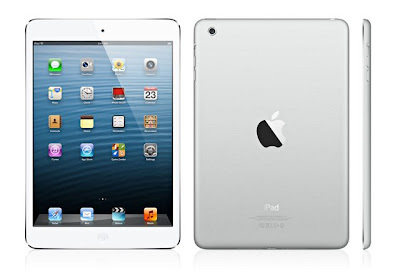 Perhaps the overpriced of iPad Mini is the main factor that iPad Mini not as popular as another two devices. Besides the America, iPad Mini also sold out in Asian countries as well. 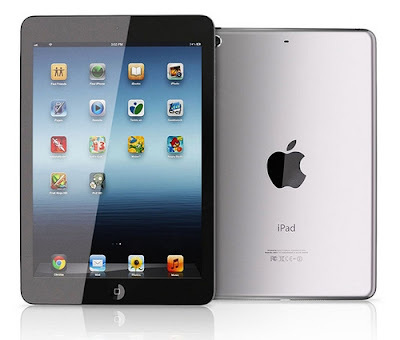 (GSM Insider) - iPad Mini and fourth generation iPad are two of the latest tablets unveiled by Apple a few days ago. 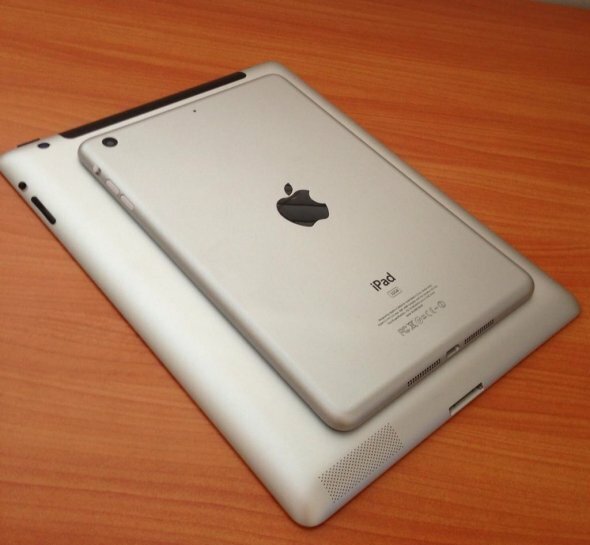 The overall design of iPad 4 still similar like the previous iPad but the iPad mini is the smaller size iPad. So how about the sales? 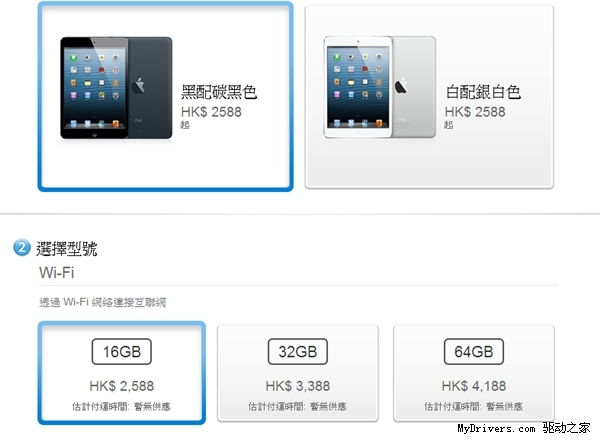 iPad Mini and iPad 4 sold out in Hong Kong as well. 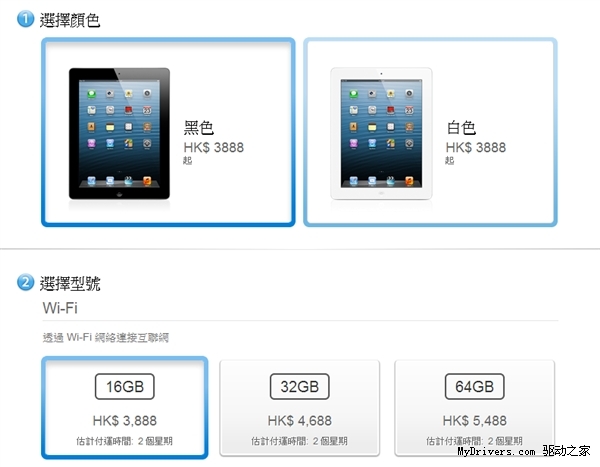 The prices of iPad Mini are start from HKD $2588 and the prices of iPad 4 start from HKD $3888. However, our friend from China stated that the iPad Mini sold out in Hong Kong at the moment. Apple online Store Hong Kong stated that there will be no stock at the moment. As for iPad 4, the shipping date now delayed to after two weeks. This situation is kinda surprise as there are a lot of people criticised the iPad Mini for being over priced. But it still achieves high sales and sold out. Seems like the high price tag will not deter the Apple fans from purchase their favourite device. (GSM Insider) - Maybe the wait is over, the smaller iPad is ready to launch. If this is real, we will have another new option available in the market. It should be a smaller size with lower budget and specs that going after the Google Nexus 7. According to famous website, Apple set to unveil their own smaller size tablet at 23 October. However, there are no location yet on the place where the event going to held at. It is said to be a private event with certain people get invitation only. If you are interested to attend the event, just pray that you are going to receive the invitation very soon. The iPad Mini is said to feature a 7.85 inches display which is larger than the Nexus 7 tablet a bit. The overall specs are no going to be powerful as Apple set to keep the price at around $199 to make it competitive in the market. There will be a rear camera but without LED flash which is suitable for daily usage. At the moment, nothing is official yet. We are not sure whether the event is real or not or just a rumour. 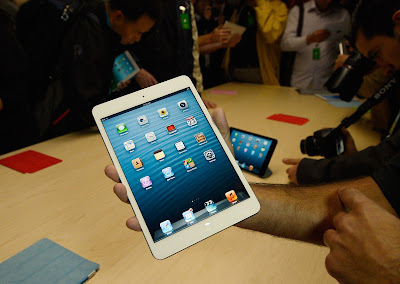 Will Apple name it as iPad Mini or Mini iPad or Small iPad? What do you think? 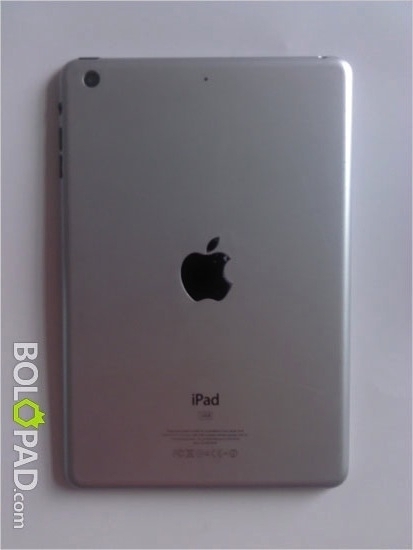 Alleged iPad Mini Leaks, Is This The Smaller iPad From Apple? 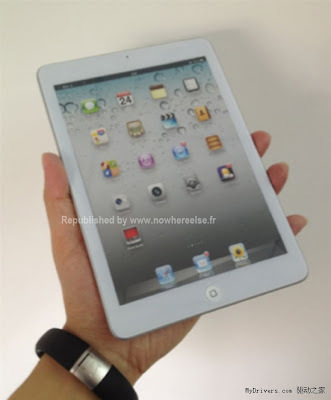 (GSM Insider) - There are much rumours on Apple preparing the smaller size iPad which is known as the iPad Mini. 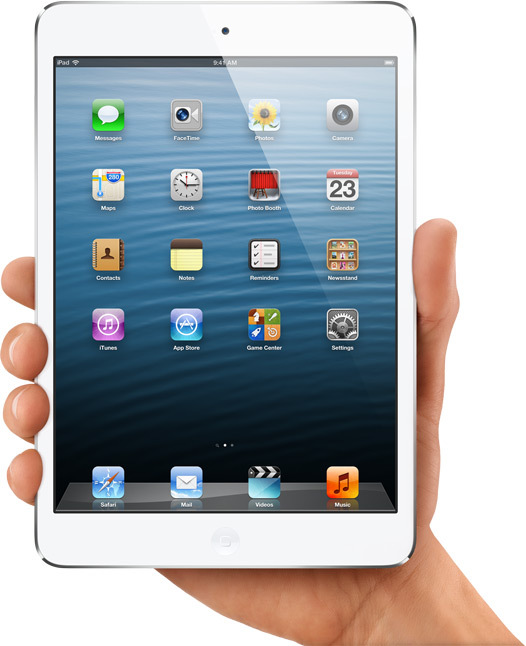 It could known as iPad Mini or Mini iPad. This is because Apple set to battle with Google Nexus 7 on the tablet market. Google Nexus 7 is at the size of 7 inches. So the smaller size iPad should be around the size of 7 inches. Rumours earlier stated that it is at the size of 7.85 inches. 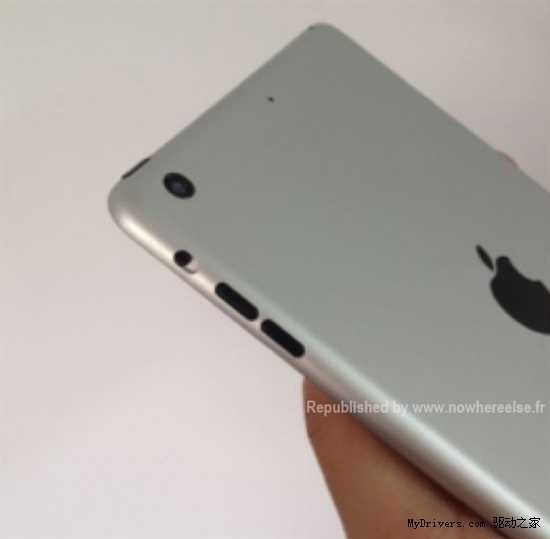 We can clearly see that iPad Mini should come with a rear camera. We expect it to be 5 mega-pixels only as it able to low down the costs. You can our Facebook page, Follow @GSMinsider us on Twitter, and us to your circle on Google+ or to keep yourself updated on all the latest from smartphone, tablet, phablet and gadget from around the world. 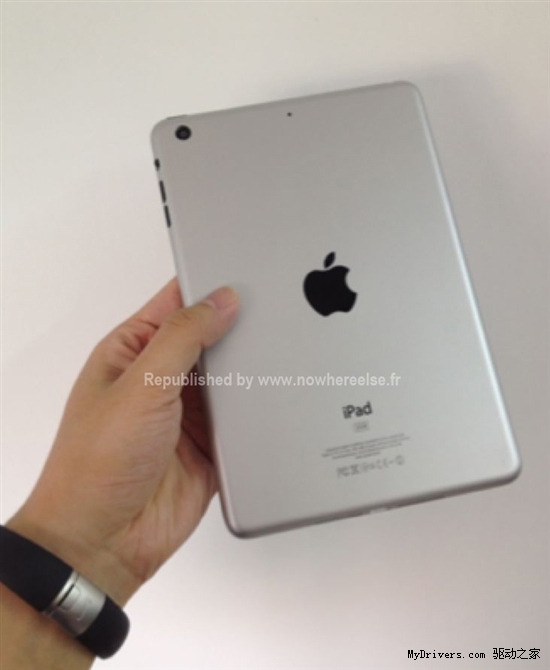 (GSM Insider) - With hours to arrive at Apple Event at Yerba Buena Gardens, new images on iPad Mini leaked. 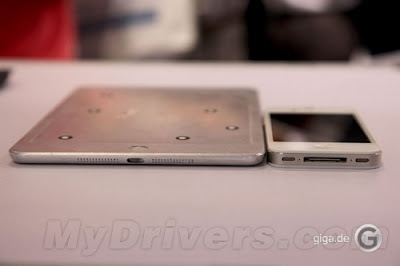 Yesterday, alleged iPhone 5 and iPad Mini spotted in comparison with iPhone 4S and New iPad. And now, iPad Mini hands on images spotted on sources from France. 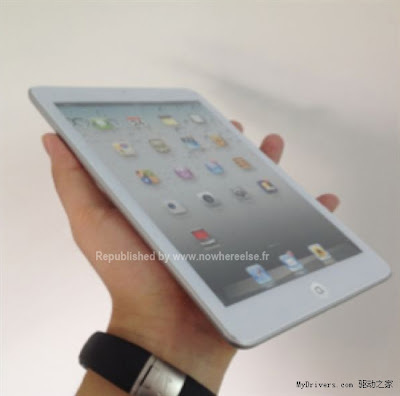 From the leaked images, we can see the iPad Mini comes with the 7.85mm inch display which can easily fits into hands. The screen ratio is 4:3. It comes with rear camera without flash light. (GSM Insider) - September 12th, 2012 is the day. The day where next generation of iPhone to be announce. No official name on the iPhone yet. Whether it calls as iPhone 5 or the New iPhone or iPhone X, there are no confirmation yet. 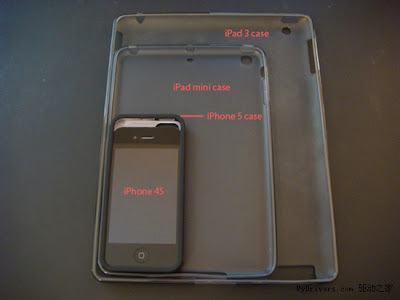 With the Apple even getting closer, the cases of iPhone 5 and iPad Mini pop up on the internet. The announcement of iPhone 5 is imminent but there are less confirmation on the iPad Mini yet. Windows Phone 8 and Android are two of the largest competitors for Apple that already announced their latest devices. It is the time for Apple to shoot back with their latest devices. 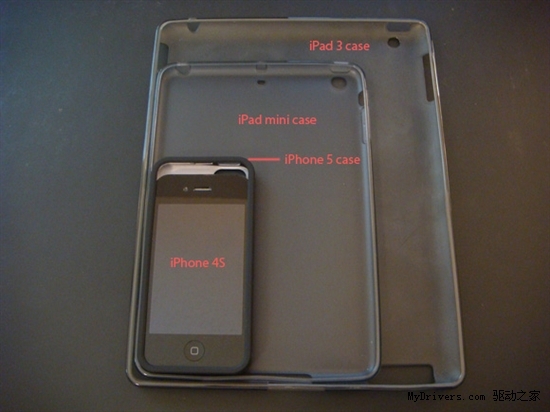 From the leaked image at above, we can see the comparison of the cases between iPhone 4S, iPhone 5, iPad Mini and New iPad. All with different sizes. The iphone 5 case is larger than the iPhone 4S. While the iPad Mini case is smaller than the New iPad. From the image, we can see the iPad Mini comes with rear camera without flash light. The screen size of iPad Mini is 7.85 inch which is smaller than 9.7 inch of New iPad. The iPad Mini also come with 9-pin dock connector and 3.5mm audio jack. Sources tell us that iPhone 5 set to come with 4 inch display with 1136 x 640 resolution, A6 processor and 1GB of RAM. The SIM card set to use nanoSIM and abandon the microSIM. Both front and back panels come with steel made. NFC and LTE-enabled are available on the latest iPhone as well. As for the iPad Mini, the rumoured specs are 7.85 inch display with 1024 x 768 resolution, A5X dual-core processor and 8GB of ROM. 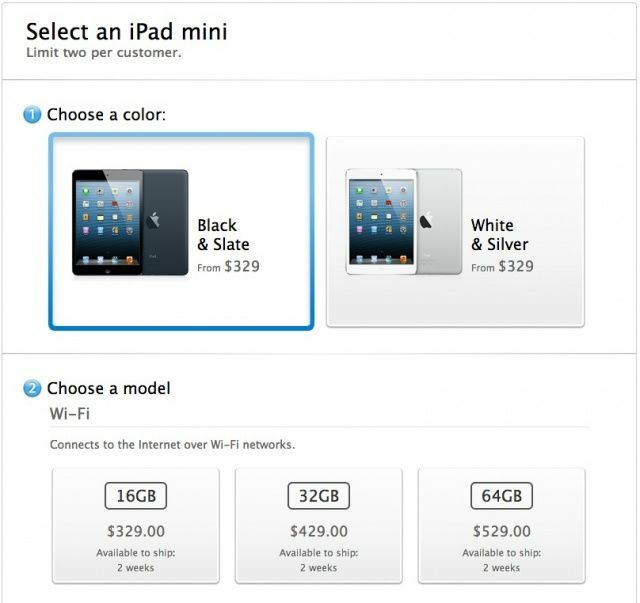 The price of iPad Mini to be around $249. 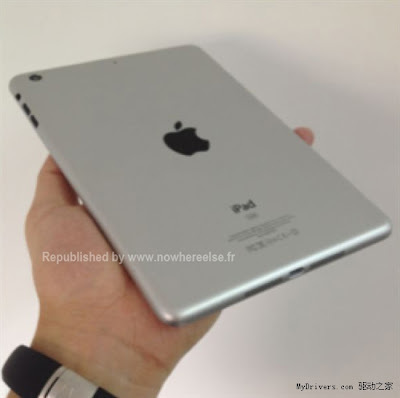 (GSM Insider) - With Apple just teasing us the iPhone 5 coming on September 12th, there are no information yet on iPad Mini. Seems like iPad Mini not going to announce on the September 12 event in Cupertino. Although there are no news yet on the smaller iPad tablet, but there are many rumours said that Apple set to release smaller iPad with cheaper price to battle with Google Nexus 7. 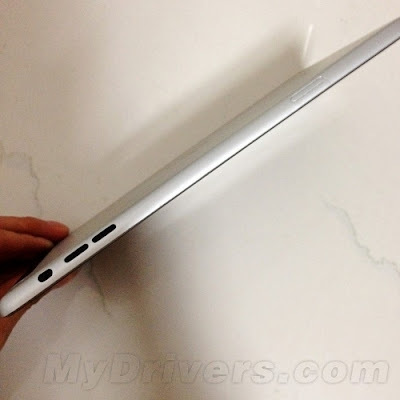 From the leaked images, we can see the iPad Mini comes with thin bezel. This could be the in-cell display. Furthermore, we found mini dock connector at the iPad Mini as well. There are much rumours stated that Apple iPhone 5 and iPad Mini set to come with mini dock connector. What the iPad Mini being placed side by side with iPhone 4S, we can see the size comparison of Apple iPad Mini vs iPhone 4S. The iPad Mini is slimmer than the iPhone 4S. There are rear camera without LED flash light. There are no front camera on the iPad Mini.